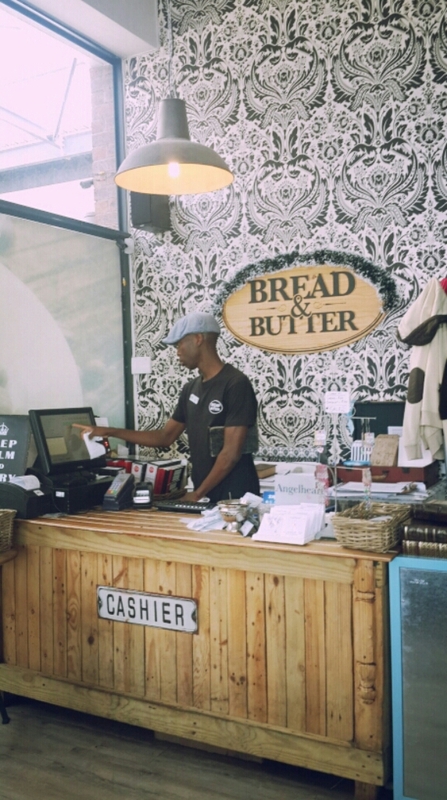 It’s a great place for gourment style sandwiches, divine and really well-priced breakfasts, not to mention their irresistable homestyle baked goods. They are also a good spot if you’re looking for retro sweets and unique little gifts. Not to mention, and the number one reason why they rock in our books, is the fact that they are indeed a child-friendly eatery. And by child friendly, I mean from the menu, to the small yet interesting play area, and staff, not forgetting the slight partition between the play area tables and the rest of restaurant. So you can rest assured that your happy hooligans can laugh and play till their heart’s content, without a bat of an eyelid from other patrons – because their happy hooligans are in the mix too! I love their quirky style in presenting the food and drinks – always cute and classy. There’s also a rustic feel to things, balanced beautifully with their chic interior. 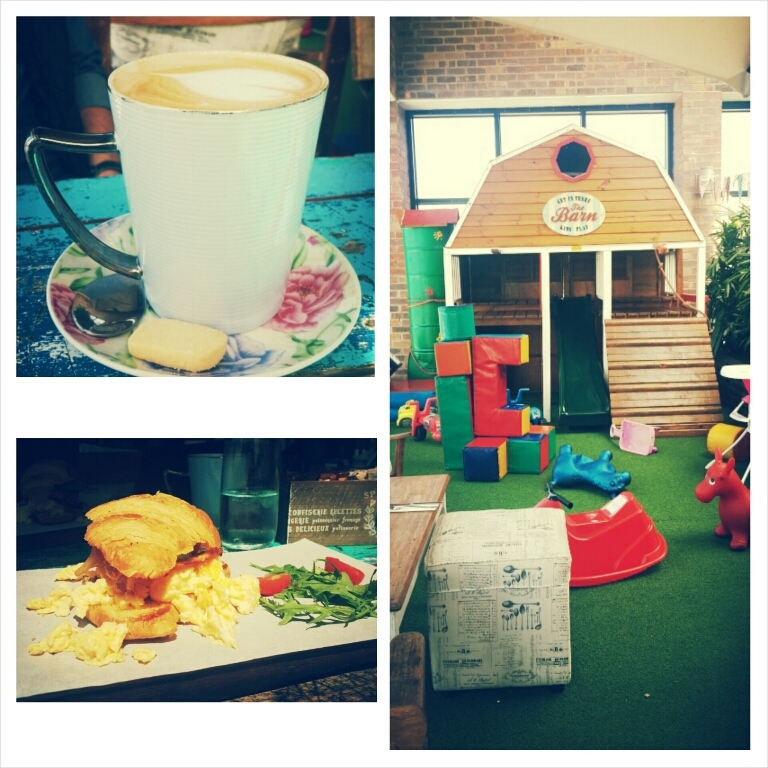 We normally sit in the “outter” kiddies play area, but have once enjoyed a relaxed kid-free breakfast seated in-store. And every time I go in store, I simply can’t stop myself from browsing all their interesting wares on show. 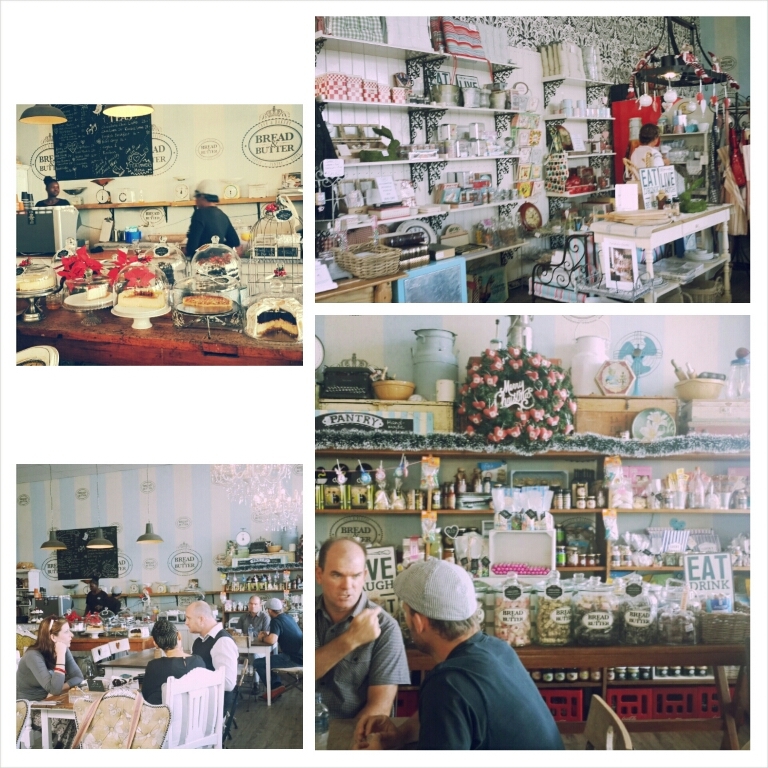 Their interior design is so stylish, which you don’t often see in kid-friendly joints. They have successfully married the two. 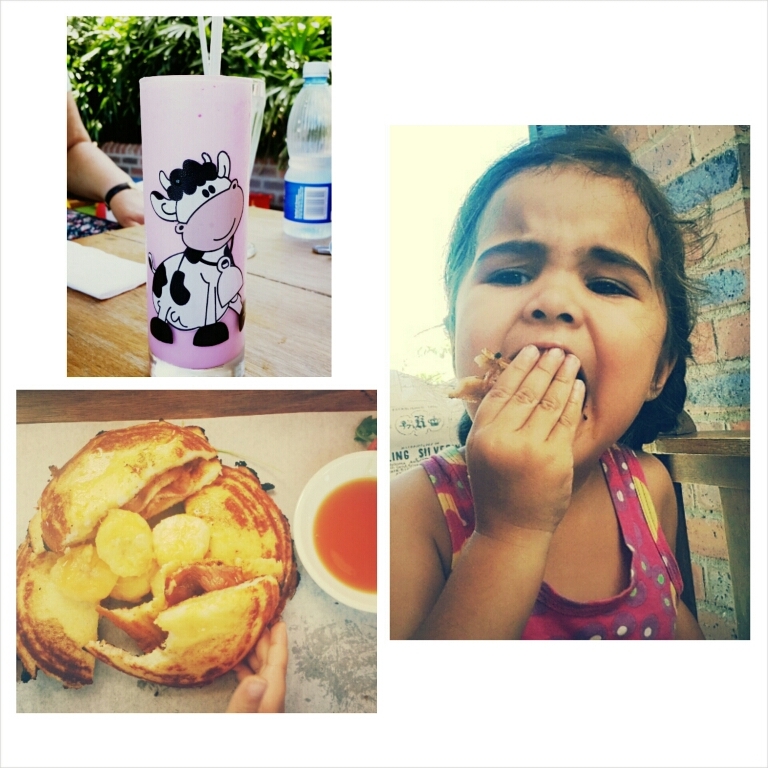 Clockwise from top left: How cute is that milkshake? ; My beast couldnt help herself after her first bite of my jaffel. She was like, “This…is…soooo good, mama!” I know, my child. Now if only I could have some myself. sigh ; The Jaffels with bacon – note the tiny hand that couldnt wait for me to finish taking the pic. As for the food, they also seem to have mastered the art of simplicity with deliciousness. I tend to always go with some sort of scrambled egg option: Ive had the Bacon and Egg Croisant (R54), the Cow and Chicken (R58.Someone say biltong WITH scrambled egg? Yes, please! )and I’ve also had another option of scrambled egg with sweet potato bread. All of which were enjoyable, as if my mom made it! However, the last time I went with Jaffle French Toast stack(R48 and divine! ), and have been craving it ever since. (Possibly because my daughter also really liked it, and ended up eating half it. Sigh.One day…one day, my plate will be my own. One day.) Hubby too has never been disappointed in the breakfasts that he has ordered. They also offer a lunch menu which starts at R42.So there seems to be an option for all wallets. Oh, and did I mention the baked goods? There’s a seriously tempting collection of baked goods on offer. I go weak for it, everytime. Im sure you would too. 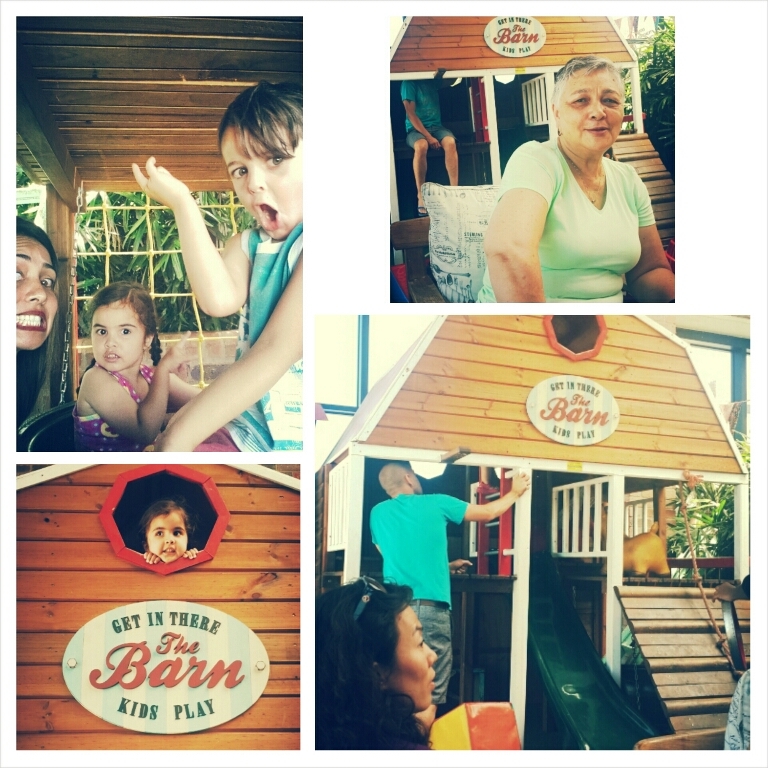 Clockwise from top left: Beasty and I going cray cray in the play area when another cutie asked if he could photobomb. A photobomber with manners, wow. ; My pretty mom-in-law enjoying her brekkie. And yes, that IS my hubby up in that play barn, behind her ; The play barn really is a winner with the kids; How cute is that face! As eluded to before, the staff is always warm and friendly, and truly kids-friendly…not just “I’m kid-friendly cause they said I had to be”. Food takes a little long to be served once ordered (my big beast kept checking with me as to when her scrambled egg is coming. And I kept checking with hiubby) but it is pretty easy to distract the kids with all that awesome little play area has to offer! Besides, as their sign says “Love takes time – our food is freshly prepared, and might take a little longer so sit back and relax and enjoy our company”. Who am I to argue with such a good sentiment? Word of caution: They do not make reservations over weekends, and generally are quite busy most days. So, go early on a Saturday or Sunday morning to secure your seat – we’ve had to make alternative plans many a Saturday morning. Also if you’re hoping to get a table in the kiddy play area, you’ll have to be doubly vigilent about it, as those sought-after seats fly like hot cakes. I’ve seen some experienced moms, swiftly grab menus from the unsuspecting waiter and just grab seats whilst the previous patrons have just about packed up. Clearly, Im still learning. So until our next chilled meal there, have a super week! « The Galileo: a movie night under the summer night sky!